Every year is a great year to be a fan of Willie Nelson, because he makes himself so available to his fans, and 2010 was no different. He travels all over with his band so we can see him in concert, he’s on the radio every week, he’s on television, and he’s on the internet. Here’s just a few highlights of how Willie Nelson spent the year, only a few. Thank you Willie Nelson, for all you do. And Happy New Year to everyone, and I hope I get to see you at a Willie Nelson & Family show next year! Willie Nelson and Family toured the United States extensively this year, visiting over 30 states, and entertaining thousands and thousands of fans. Last summer, the band blazed a trail across Europe and the UK, with 20 shows in 24 days, in England, Scotland, Ireland, Sweden, Norway, Germany, The Netherlands, Denmark, Austria, Switzerland, Belgium France. They played at the world’s largest outdoor green concert at Glastonbury, in the UK (180,000 attended), and also at a private birthday party in the states for a just a few dozen people. The band performed at the oldest dancehall in Texas (Gruene’s), world’s most famous Music Hall at NYC’s Radio City, a Superbow pre-game concert, Houses of Blues, Midwestern baseball stadiums, California Vinyards, Nascar Race Tracks, Las Vegas Casinos, mountain amphitheaters, and all kinds of pavillions, stadium, theater, theme park, auditorium, amphitheaters and tents. Willie Nelson’s collaborated with T-Bone Burnette, and released ‘Country Music’ in 2010. The album was nominated for a grammy award, in the ‘Americana’ category. 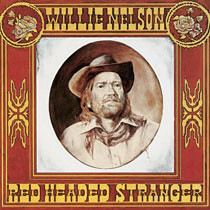 Willie Nelson’s album, ‘Red Headed Stranger,’ was one of 25 albums nominated to the United States Congress National Recording Registry, along with music by Tupac Shakur, REM, Bill Cosby, and others. Willie Nelson’s 1980 single, “On the Road Again,” was named as one of 30 songs joining the Grammy Hall of Fame this year. The song was also named as “Favorite Road Song,” in Pioneer Electronic’s national poll. Last April the National Aeronautics and Space Administration’s Mission Control in Houston once again played the song as a wake up call for astronaughts in space. Also, on their webiste, NASA asked the public to vote for their choice of a song to be used for future flights, and ‘On the Road Again’ was on that top 40. Willie Nelson, Kris Kristofferson and record label executive Fred Foster were named the 2010 recipients of the Leadership Music Dale Franklin Award and were honored in Nashville in August. Vince Gill hosted the gala. 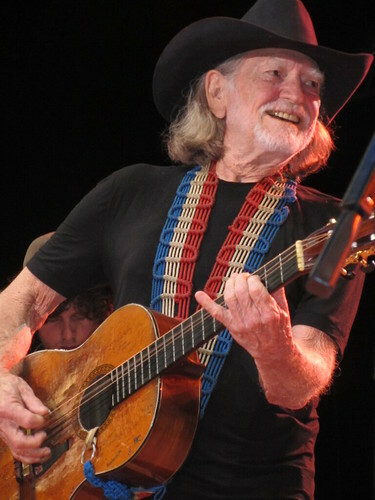 In May, Austin Mayor Leffingwell announced the city’s plans to honor Willie Nelson by re-naming second street in downtown Austin as “Willie Nelson Boulevard.” The Mayor also announced that they city has commissioned a sculpture of Willie Nelson, holding his guitar, which wouldbe installed on West Second Street. In January, the city council of Helotes, TX renamed part of Old Bandera Road as “Willie Nelson Way.” Back Yard named their ‘Willie Way”, and downtown Austin re-named portions of 2nd avnue as Willie Nelson Boulevard. Willie Nelson attended and was honored at Nobelity Project Gala, with Lyle Lovett, Bill Paxton and 40 more Texas Artists, for his appearance in and support of new film, ‘One Peace at a Time’ and other good works. Gala was a fundraiser for Nobelity Project and their programs. Willie Nelson and fellow Farm Aid Board members Neil Young, John Mellencamp and Dave Matthews celebrated the 25th Farm Aid 25 concert in Milwaukee on October 2nd, at Miller Park. Each of the board members performed, and were joined by dozens of artists, including Kenny Chesney, Amos Lee, Jamey Johnson, Nora Jones and helped raise over $2 million for the support of family farmers. Willie Nelson and Woody Harrelson hosted ‘Willie & Woody’s All Star Texas Hold ’em Charity Tournament’ at the Hustler Casino Los Angeles in September. They were joined by other celebrities and fans and raised over $40,000.00 to support the work of the Sustainable Biodiesel Alliance. In July, Willie Nelson and Family performed at a concert to beneft the work of Patch Adams and his clinic.Charlottesville Pavilion to raise money for the construction of the Patch Adams Teaching Center & Clinic. Willie Nelson helped celebrate arrival of Virgin America’s coming to Dallas, with Richard Branson. Willie Nelson & Family performed Winspear Opera House in support of Stand Up To Cancer, hosted by Virgin America to raise awareness and funding to help find a cure for cancer. Willie Nelson and Family headlined the American Red Cross ‘Salute Our troops’ pre-race show at Texas 500 NASCAR Sprtint Cup Serieds at Texas Motar Speedway in November. Willie Nelson became a founding member of Green Music Group, which is affiliated with Reverb, the non-profit organization founded in 2004 by Guster’s Adam Gardner and his wife, Lauren Sullivan. Willie made a video challenging people to go green. Willie freely gave his signature hundreds of times on guitars, banjos, motor cycles, photographs, bottles of wine, and anything offered, which were then sold and helped to raise funds for good causes. Willie Nelson didn’t slow down with his collaborations this year. He teamed up again with Ray Benson and his Texas swing band, Asleep at the Wheel, and finished up recordings for a new album to be released in May of next year. Willie recorded ‘Truck Driver’s Blues’ which appeared on the Wheel’s new album, and also helped the band celebrate 40 years as Asleep at the Wheel in Austin, at a concert in Austin . Ray Benson also announced that Willie and the Wheel would release another album of music in 2011. “We’re going to have a lot of Western Swing and cuts from the ’30s and ’40s.” Willie also sang on other artists’ albums, including the Doobie Brothers, Amos Lee, Jerry Lee Lewis, Jessica Simpson, Nora Jones, Juice Newton, Jimmy Webb, Tom Conway, Carlos Santana, Amy Hanaialii, and others. Willie sang with Bluetech & Marty Dread on the “In Defense” album, to benefit the Civil Liberties Defense Fund. Willie announced on the Bill Mack show that recorded a new album with son Lukas Nelson, produced by Buddy Cannon which is set to be released next year. Willie brought his 4th of July Picnic back to Texas this year, and celebrated at the Back Yard, with family and old friends and new, including Kris Kristofferson, Ray Price, Ray Wiley Hubbard, Waylon Payne, Paula Nelson & The Guilty Pleasures, Jamey Johnson, Micah Nelson & the Reflectacles, and David Alan Coe, Jack Ingram and so many more. Willie Nelson returned to Willie’s Place Theater at Carl’s Corner, Texas, for two concerts this year. In April Paula Nelson performed, and her show the first ever live video stream broadcast from Carl’s Corner. Willie Nelson came out on stage, and performed with Paula Nelson and sang, ‘Have You Ever Seen the Rain.” In November, he performed again with his band, joined by Lukas Nelson and the Promise of the Real, and David Alan Coe. Willie Nelson attended the Kennedy Center Honors in Washington DC, and helped honor Merle Haggard. Willie visited the White House with Merle Haggard early in the day, then at the Kennedy Center, he performed Merle Haggard tunes with Sheryl Crow, Jamie Johnson, Kid Rock, and others. Willie Nelson will appear as the first guest on the Marty Stuart Show, which will air on January 8, 2011, on RFD-TV. Willie reunites and sings with Connie Smith on the show. Willie Nelson was on television a lot in 2010, talk shows (David Letterman, Larry King, the View, Craig Kilbourne) Willie taped several ‘gardening tips’ comedy skits with Craig Kilbourne that aired over the summer on the late night show. Willie Nelson appeared on Jessica Simpson’s television Christmas Special, and sang, ‘Pretty Paper,” . In October, the Biography Channel aired “Ray Charles America” about the life and influence of Ray Charles, and featured Willie Nelson. Again in 2010, Willie Nelson kept in touch with fans on Wednesdays, when he called into Bill Mack’s shows for ‘Willie Wednesday” on Sirius/XM Radio. Willie swapped stories with Bill and Cindy Mack and took calls from fans. Willie also did an interview with Road Dog Trucking, also on Sirius/XM, and appeared on the leonard Lopate show in NYC in May. Willie Nelson and Woody Harrelson called in to the Howard Stern show and talked with Howard and Robin from Maui. It was 1:00 a.m. in the morning on Maui, and Woody told Howard that they stayed up all night playing cards and dominoes until the show started so they could call in. Willie Nelson was well represented in the social media, as fans connect through facebook and twitter, and keep in touch with Willie’s tour schedule and news through FaceBook and Twitter. In August, Willie Nelson and John Mellencamp appeared on a webcast and revealed details about Farm Aid’s 25th anniversary celebration. campaign for a Nobel Peace Prize for Willie Nelson’s Farm Aid work has been launched! Willie Nelson lauched production company called Luck Films, along with actor/producer Kerry Wallum, actor/filmmaker Norman Macera and producers Scott Maccauley and David Von Roehm. Will shoot moviees, movie videos, videos of live performances. The production company released music video for the song Willie sang with daughter Paula Nelson, ‘Have you Ever Seen the Rain,’ from Paula’s new album. Also, recorded a music video of Willie Nelson & Family’s cover of Guy Clark classic, ‘Desparado waiting for a Train,’ video, along with videos of performances by Willie Nelson and Family, and other artists including Billy Joe Shaver, son Lukas Nelson & Promise of the Real, and son Micah Nelson and Reflectacles. Willie Nelson has his own application for your smart phone, with links to Willie in the news, his tour dates, his twitter updates, and discography. Willie Nelson’s websites, www.WillieNelson.com and his fan club website www.ClubLuck.WillieNelson.com both got revamped and streamlined in 2010, and offered more opportunities to hear about concerts first and get the first chance for tickets. WillieNelson.com continues to add live recordings from Willie Nelson & Family concerts, available for download to your computer. “Americans Now,”drawn from the National Portrait Gallery’s collection, features portraits of outstanding individuals in the realms of science, business, government and the arts. The exhibition opens Aug. 20 and will be on view through July 10, 2011. The Wittliff Collections at Texas State University acquired extensive collection of Willie Nelson recordings a papers. Fan and collector John Kalinsky donated his collection which spans from 1954 through 2010 to the library. Willie Nelson was arrested and charged with possession of Marijuana in November, in Texas. Willie turned the negative into a positive, and immediately encouraged people to donate to the toy drive sponsored by the Hudspeth Sheriff’s Department, who arrested him. Willie’s arrest inspired the creation of the TeaPot Party movement on the Social Network Facebook with the motto: “Tax it, Regulate it, Legalize it.” Almost 50,000 Facebook members are following the facebook TeaPot party page, and TeaPot Partys have started up in all 50 states, and in some other countries. Nicely written. Nicely laid out. Of course we all know that Willie is special, but 2010 was unbelievable. I am impressed with that fact that the information was collected and put into such a easy to read form. Bravo! Thank you, it takes me so long to do that. I should work on it through out the year, but nope, I wait until Dec 31st to start it. And that is just the small percentage of what we hear about, just the highlights. He is amazing. I appreciate your kind words, and for stopping by the blog. first time on the site. VERY GOOD!!! Like the previous person, this is my first time visiting your site. I actually found it because I’ve been looking for an update on Paul English’s condition. Saw willie in West Virginia on his birthday in April. Along with his son Lukas. Both were very good. But I digrese. Love the fact that your site breaks down his whole itinerary. I’m wondering how often you update ? At any rate, very infomative site……keep up the good work !! Paul is still on tour with WN&F, as you know. Glad you got to see the band, and with Lukas opening, that’s a treat. Paul looks great, says he feels good. The strokes took their toll. He just plays on a few songs now, Me and Paul, and the Crazy/Nightlife medley. It is always so great to see him. He wanders around, is always so kind to us fans. Thanks for stopping by and for your kind words. I post seven or eight times a day; I like for there to be only two days worth of posts on the ‘front page.’.